Right ascension: 0h 40m 48s Declination: +40° 45' 52"
50x40s frames. Captured in K3, debayered in AVIRaw, stacked in Registax, curves in photoshop. Noise reduction in Neat Image. 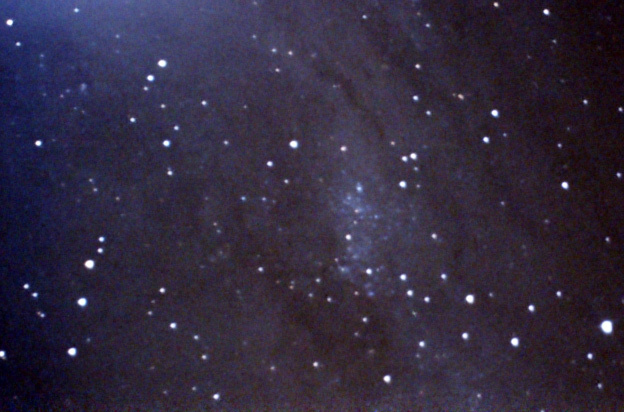 Only slight noise reduction was possible to avoid damaging the cluster image. This is a star cluster in a different galaxy! The dark and light lanes of the host galaxy, M31, are clearly visible. The amp glow has been left untouched because of this.